Our wonderful Music Together in the Valley teachers are fun-loving, multi-talented individuals who have widely varied backgrounds in music, dance, theater and education. Though they have come to Music Together® through different routes, they have all chosen to teach it because they love children and they love to sing. All of our teachers have successfully completed the Music Together Teaching Workshop developed by the Center for Music and Young Children, Princeton, New Jersey. Several have also gone on to complete Music Together’s rigorous certification process. Interested in becoming a part of this amazingly dynamic group? We're always looking for potential Music Together teachers who might be a great fit for our program. Call Clarice at 651-439-4219. Clarice Wilson, center director and teacher for the past fourteen years, has a Ph.D. in Community Development from the University of Minnesota and sees Music Together as an ideal vehicle for building strong communities. Music Together is her third career, started after first teaching at the U of M for many years then doing hands-on community development in a village in rural India where she helped the local women start a preschool and a high school for girls. It was teaching songs to the children in the village preschool that started Clarice on the path toward Music Together. She discovered that for her, the combination of music and children is irresistible. Clarice remembers the annual family road trips when she was growing up as one long sing-along featuring the world's longest versions of She's Been Comin' Round the Mountain, Swing Low, Sweet Chariot and I've Been Workin' on the Railroad, often in six-part harmony in her family of six. In addition to living in a household where music was a part of everyday life, Clarice sang in a children's choir from the age of three and continued in choirs until she completed her undergraduate degree. Then for years, she lost track of singing with a group and didn't return to it until her days in the village preschool when she realized how much she'd missed it. Clarice taught violin in her own studio, Stillwater Suzuki Strings, for many years. She found that teaching violin to children who experienced Music Together classes in early childhood was pure joy because they hd such a solid foundation on which to build; music was a part of them. Clarice thoroughly enjoys the opportunity to sing and dance with others during Music Together classes and displays a very high “S.Q.” or “Silliness Quotient” (a vital asset for a Music Together teacher!). Clarice has earned the coveted "Level I" and "Level II" Certifications from Music Together Worldwide and she ranks these up there with her graduate degrees in terms of accomplishments that have given her the most satisfaction. Marty was born into a family of musicians. Family get-togethers were always paired with lively sing alongs. In high school, she joined any musical group she could be a part of at church, school and beyond. She was one of 12 singers chosen to represent Massachusetts at the All-Eastern Choir. In college, she studied music, elementary education and history. These days, she can be found singing on the worship team at her church or rocking out with her children in the car. Marty loves working with two of her greatest joys—children and music. After attending a Music Together class with her son, she decided it would be a perfect fit to teach and still do her number one job as a stay-at-home mom. 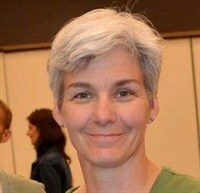 She is married to her husband, Mark, and they have a son, Miles, and a daughter, Macy. Marty has taught through all 9 collections and has completed her Level 1 Certification with the Music Together Worldwide Organization. Marty teaches in Shoreview and North Oaks. 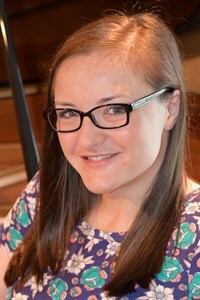 The youngest of eight musical children, Sarah Berwald has been surrounded by music since birth and had the unique opportunity of singing with her whole family as one of the “Klemp Family Singers”. The Klemps sang extensively throughout Minnesota during the school year and toured nationally each summer during her childhood. Sarah developed her musical talents by taking piano and saxophone lessons early on, switching to the baritone saxophone in high school and was awarded The John Philip Sousa Award during her senior year. College brought more opportunities to participate in music—in band, choir, jazz band, musical theatre and voice lessons. 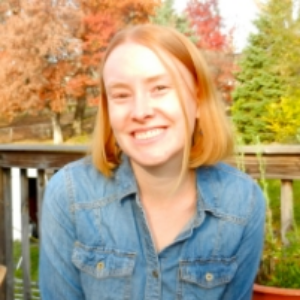 Sarah double majored in Communication Studies and Theatre at Concordia University in St. Paul and also has a Master’s degree in Organizational Management. During her college years, Sarah traveled to eight different countries with the International Children’s Drama Ministry, filling a variety of roles including performing, stage managing and directing, fueling her passion for theater which started when she was very young. For the past ten years as a stay-at-home mom, Sarah has continued to be active in music, participating in a handbell choir and church choir, singing each summer with The Klemp Family Singers—which now includes the next generation—filling in on the baritone sax for a local jazz band, volunteering in the music department at her children’s school, and bringing her children to Music Together. Sarah still loves musical theatre and is looking forward to the opportunity to be back on stage when her children are older. Sarah’s sister, Paula Wilson, has been teaching Music Together for thirteen years and encouraged Sarah to become a teacher herself. Sarah and her husband Brian live in Stillwater and have three children: Bradley, Isabelle, and Briana—and a beloved Shih Tzu named Bode. 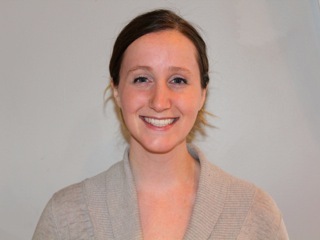 Sarah teaches in Stillwater and Woodbury. Linda Brasaemle is a veteran Music Together teacher. She loves her work with families, helping adults learn to play and facilitating community building through music. Linda has also pursued further education through Music Together and like Clarice, has attained both Level I Certification and Level II Certification, becoming one of a select group of highly trained Music Together teachers honored for excellence in articulation of program philosophy, assessment of children's music development, and teaching mastery. 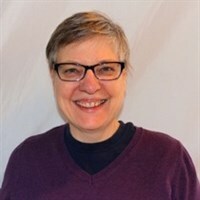 In addition to teaching classes here in the Twin Cities, Linda also works for the international Music Together organization as a Teacher Trainer and has traveled to China (several times), Japan, Australia, Italy and beyone to train Music Together teachers. Linda played in bands, orchestras, and jazz groups throughout her high school and college years and discovered the joy of singing later in life when she began participating in vocal ensembles and singing at church. Most recently, she has been seen playing the bass guitar in a worship band and working with the drama department at her church. Linda has a BA in Fitness, has held several related certifications, and spent 15 years working for the YMCA as a personal trainer. More than anything in the world, she loves being a mom to two beautiful daughters. Linda teaches in St. Paul and Anoka. Amy Lindquist is originally from Montana, but married a Minnesotan and has lived here now for more than a decade. Music has always been a big part of her life. In high school, Amy played piano in her tiny rural church and sang or played in every musical ensemble that her school offered. College choir and touring ensemble led to a year of traveling with a music outreach team in Taiwan and the US. Here in the Twin Cities, Amy has sung with the Minnesota Oratorio Society and Two Rivers Chorale as well as directing her church choir. When her two children were born Amy began exploring children’s music and hit upon her favorite genre yet. Truly! Amy says, "I delight in exploring the world of children’s folk music- its artists, songs, history, and the joy of singing songs that have endured for generations. I also have great fun learning to play folkish instruments such as the concertina, guitar, and recorder." Amy became a Music Together teacher in 2014. Music Together combines her love of music and children, and children’s music! She says, "I am honored to make music together with your children and with you. I am so thankful that my parents gave me the gift of music at a young age, and I would love to help you give that gift to your child." When she's not singing, Amy can be found playing with her kids, reading, cooking, drinking coffee with friends, or watching Star Trek with her dear husband. Amy teaches in St. Paul. Tibbe Luell has taught dance for the past twenty years and owned the dance studio, Valley Dance and Fitness, where Clarice began Music Together in the Valley thirteen short years ago. After listening in on our classes for a semester, drawn by the irresistible music and the wonderful energy of the participants, she decided to go through the Music Together teacher training herself and join the staff. She has taught ever since and has completed her Level I Certification through the international Music Together organization, which is a significant milestone for any Music Together teacher. Her son Trex is in second grade and loves to sing, She directly relates his singing enjoyment with the importance of music in early childhood education. She sees Music Together as a great beginning in the arts, an excellent foundation for future training in dance, instrumental and vocal music, and all other creative endeavors. Tibbe has a passion for working with kids. Outside of music classes she is a full time nanny of 3 and is blessed to have jobs that never feels like 'work'! Tibbe teaches in Centerville, Lino Lakes, Shoreview and White Bear Lake. Audra grew up in small town Wisconsin, in a little bungalow on a quiet street, listening to her mom sing everything from 70s easy listening to church hymns to folk songs. Sing-a-longs and rounds were frequent entertainment on family road trips around the country. She began taking piano lessons in second grade and continued for many years. Throughout that time she also sang in both school and church choirs. As time went by, Audra continued to enjoy listening to music but lost touch with the act of actually creating it. It was only when she and her son (then one year old) joined Linda B's Music Together class that she was reintroduced to how much FUN and fulfilling it is to both make music and to play WITH music. Adding kids to the mix was the cherry on top! In Music Together class, Audra knew she'd found her happy place, singing with kids and their grownups, and she is elated to be able to add ‘Music Together teacher’ to her hat collection. Other hats Audra wears include: mom to Murray, wife to Luke, knitter of many creations and lover of nature. 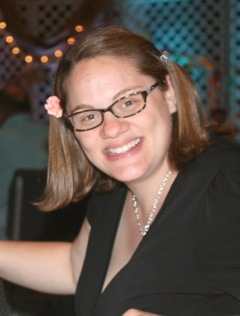 Director's Note: Audra completed the coveted Level I Certification this past summer which is not small accomplishment! Robin’s father was a band director, her mother was a music teacher, and her sister (who is also a Music Together teacher!) played both the piano and the violin. So, music is and has always been a huge part of her life. Robin began piano lesson when she was quite young, added flute lessons a few years later, took up the autoharp as an adult, and recently took on the challenge of the ukulele—and is proud to announce that she already knows three chords! Robin’s husband plays the trombone, as does her daughter, Maeve. Her son, Miles, is the singer in the family, and her dog, Otto, howls along with them all. Robin has a degree in Elementary Education from the University of Minnesota. She conducts the Cherub Choir at her church, teaches at her church’s music and drama camp each summer, and does the music portion of the weekly Parents’ Day Out that the church sponsors. Robin also serves as a worship arts leader at her church. One of Robin’s passions is children’s books and she has an extensive collection. She also thrives on gardening and being outdoors. And she LOVES teaching Music Together. 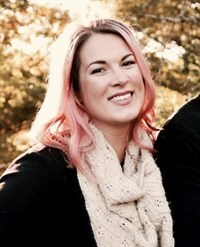 Kari Owens is very excited to have joined the Music Together in the Valley team. She has a B.A. in Elementary and Early Childhood Education from Augustana University in Sioux Falls, SD and her first teaching job was teaching elementary music. After four years of teaching, she went back to school to make it official, receiving her K-12 Vocal Music Education degree from Mankato State University. Kari taught in a traditional public school classroom for fifteen years before starting with Music Together. 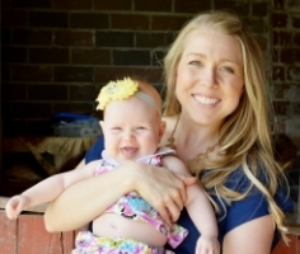 Kari was first exposed to Music Together as a parent who brought her then 6-month-old daughter to a class. Her daughter loved attending classes and was always dancing and singing to the music. Kari was taken in by the quality of the music and the program and by the joy that Music Together brought to her family. She is thrilled to have the opportunity to share the joy of music with other families! Director's Note: Kari completed her Level I Certification this past summer which is a major milestone for a Music Together teacher. Congratulations Kari! 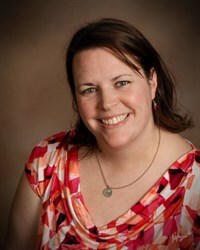 Kari teaches in Apple Valley, Prior Lake and Savage. Kristen is originally from Lawrence, KS and is a big fan of Kansas Jayhawks Basketball. (Rock Chalk, Jayhawk! Go KU!) She has a Bachelor’s of Music Education from Drake University in Des Moines, IA and came to Minnesota by way of her amazing husband, Ryan, who is originally from central Minnesota. They currently live in St. Paul Park with their son, Harvey, and their two dogs, Hans and Rosie. In her spare time, Kristen enjoys staying active through fitness classes, swimming and taking Harvey and the dogs for long walks. She's also a big fan of the Minnesota Vikings and rarely misses a game. She enjoys participating in music at her church in Cottage Grove. Kristen spent seven years teaching general music, choir, and private voice, piano, and guitar lessons to students in grades K-8 in the communities of Wayzata, Burnsville, and Woodbury. After the birth of her son in 2016, she decided to take a break from classroom teaching and althrough she felt incredibly blessed to be a stay-at-home mom, she missed teaching music terribly. Then, she and Harvey took their first Music Together class and Kristen felt like she had come home. She began the process of becoming a Music Together teacher, and the void has been filled ever since. Kristen spent recent semesters interning with Linda and Clarice, who she calls "my two amazing mentors". She's very excited to have completed her Music Together teacher training so she can begin teaching on her own. Kristen says, "I’m so pleased to be joining the team at Music Together in the Valley and I can’t wait to continue meeting and making connections with families in the Cottage Grove area!" Bethany is one of Music Together in the Valley's newest teachers, but she definitely isn't new to teaching children or music. Music has led Bethany through life and around the world. It all started with 4-part rounds in the car as a child, and continued with nine years of piano, voice lessons, choir tours in Ireland and Tanzania, and singing professionally in choirs and as a church soloist. 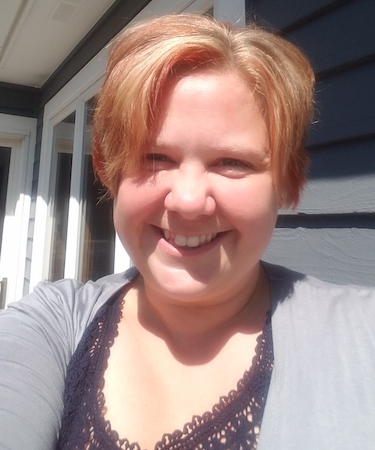 If not for MN All-State Choir Bethany would have a very different life, since it was there that she both decided to become a music educator and where she met her husband. Bethany has a BA in Music Education and has taught elementary music for 5 years including schools in Kansas City, Philadelphia, and currently, Burnsville. Through her graduate work at Temple University in vocal performance, Bethany also has experience teaching voice lessons. Her passion lies with making music with young ones, though, and believes that the best way to learn and love music is through play and gobs of FUN! Since the birth of her three kids, Karis, Gabe, & Eden children seem even more beautiful, and each stage of their musical development even more awe-inspiring. Bethany is excited to witness magical moments and bring her passions to Music Together! Bethany teaches in Eden Prairie. Some of Bobbi’s favorite memories are sitting with her mother at the piano, watching and listening while she played, and having fun singing with her siblings, learning to harmonize. During family Christmas celebrations, Bobbi would play the flute while her mother played the piano, together to creating instrumental versions of their favorite carols. Bobbi spent many years singing in her church and school choirs and developed a love for vocal jazz during her high school years. She also took part in musical theater and took dance lessons for 12 years. After college, Bobbi's dream was to work with young people and bring music into their lives—and she’s been blessed to be able to live that dream. During her second year of college, Bobbi started working at her local church as one of the music ministers and when she married, her husband also became one of the music ministers. Bobbi worked with the children and teen music programs in her church for 12 years. Bobbi is married to a wonderful, funny guy, and they have two beautiful boys, and she loves being a mom and being the Worship Director at City Hill Church in Eden Prairie. Bobbi loves playing guitar, piano, and ukulele, and she brings these instruments into my classes whenever possible. Bobbi teaches in Eden Prairie. Paula Wilson was born into a musical family. She began performing with her eight siblings and her parents when she was just three years old. She and her family recorded three record albums, performing throughout Minnesota and touring each summer in a Partridge Family-style bus. She began studying the flute and piano in grade school, two instruments she has played ever since. When Paula’s daughter, Audrey, was born, Paula wanted to give her the same wonderful beginning in music and knew she’d found just the right program when she discovered Music Together. Paula has brought all three of her children, Audrey, Fletcher and Ida to Music Together classes and now that they are all in school, she is happy to have even more time available to teach. Paula is a graduate of Augsburg College with a double major in Theater and Broadcast Communications, and she continues her acting career by doing television commercials locally. She has sung in local bands for many years and she also sings on her church praise team and helps lead children's programs and music at her church. Paula has been learning the acoustic guitar for the past few years and often brings it and plays it in music class, encouraging children to strum it as well. When Paula earned her Level 1 Certification, she received high praise for her teaching from Dr. Lili Levinowitz, one of the co-creators of Music Together and an expert on early childhood music development. Paula teaches in St. Paul and Woodbury.